Vane is ranked in the 8th percentile of games scored on OpenCritic. Given this game's artistry, the child is a surprisingly ugly thing. It moves like a mole through molasses. Traversal is a major part of the game's puzzle landscape, but the child never feels entirely connected to the ground, dragging its feet through rocks, or floating weirdly over perches. Whether you’re a big indie fan or a newbie like me, Vane is well worth your time. An ungainly but hypnotic exploration of worlds in the making and unmaking, and a fresh spin on the ethos of Team Ico's games and Journey. For as beautiful as Vane looks and sounds, and for as exhilarating as the flight can sometimes be, there are so many barriers to your enjoyment of this title. Friend & Foe have poured so much into the experience but have forgotten the fact that we also need to interact with it. 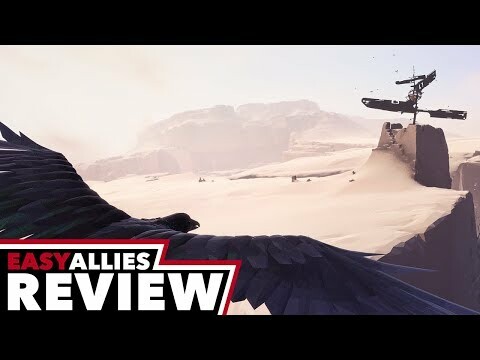 Vane awakens the hope for an exciting, gloomy gaming experience in the style of Inside or Journey, but ultimately fails in the implementation and also offers hardly any fresh ideas over his short playing time. Vane’s arresting visual design, inventive mechanics, compelling environmental storytelling, and tense, viscous atmosphere converge to create a truly exceptional experience and PS4’s first essential exclusive of the year. This game won't be for everyone. A short playtime and lack of instruction of what to do or where to go, coupled with a range of annoying little glitches, may cause many to get frustrated. However the overall look and atmosphere is incredible. You'll want to explore each location in order to enjoy the game because the pleasure we get from a journey is perhaps more dependent on the mind-set that we travel with, than on the destination we travel to. Vane is a different game. It does not present an interesting story, but it ends up delivering a unique experience of seeing the world from above through the view of a crow. Even though it has some serious technical problems and gets the player lost in some moments, Vane manages to make the player have some fun while solving some puzzles and trying to understand what happens to that world. Vane is an enjoyable journey through a desolate world with the occasional issue with camera controls and glitches that cause you to lose minutes of progress. Despite, its flaws there is something to discover within the game. But at less than two hours worth of content, one can’t justify the twenty-five dollar price tag. Despite the magnificent aesthetic inspiration and the stunning overall atmosphere, Friend & Foe is unfortunately no Team ICO (especially concerning some of the key aspects that make a video game worth playing): as a result Vane is an imperfect, uneven and at times even excruciating adventure. But also one that, along with its lows, is still capable of memorable, evocative highs. Vane is an enigmatic game about the force of union and the silent sacrifice of living beings. It looks like an Early Access game, with bugs, glitches and an unnerving slow pace. Sometimes presents a wonderful world where the sense of solitude is the key to understand what Friends & Foe wanted to tell in their obscure and strange story. A missed opportunity. Vane had a lot of potential, but finally it wasn't used in terms of creating a compeling game. Vane lets players shift from the form of a bird to a child as they explore a strange, hallucinatory world set to a fantastic synth soundtrack. But what starts as a liberating flight through a vast desert eventually devolves into a linear trek through cramped corridors. Vane is a strange, haunting game that deserves attention, but it abandons its most interesting ideas too early on. An atmospheric and often perplexing exploration game that suffers from bugs, uneven level design, and an unwavering dedication to leaving you to your own devices. The industry can always use more risky passion projects like this, even if they don’t always reach their full potential. Vane is an interesting, beautiful, and provocative indie platformer brought down by design inconsistencies and bugs, but fans of the genre will find something to like here. Vane is an intriguing game with a variety that encourages you to dig deep into its dubious world, but its sluggish controls hamper this peculiar experience. Vane is a unique, almost-therapeutic experience with a magical world to explore. Unfortunately, the controls are pretty awful. If you can deal with that major issue, though, you'll find a somewhat worthwhile adventure. Featuring deep puzzle solving mechanics, a unique graphical style, and a tale that will leave you guessing until the very end, it’s definitely a game worth experiencing at some point. The technical issues and bugs currently present at the time of release really do hold Vane back from being a good game to just being mediocre, and that’s unfortunate. Vane is the kind of game where you can see what the developers were going for. It has moments where the vision comes together and perhaps you've turned a corner, but all too quickly it goes back to its old, disappointing ways. The art of a game, however distinctive, matters little if it isn't accompanied by functionality. Overall, this game lacks any specific direction beyond what you have to figure out for yourself. You get no introduction to the character or the situation they face. There are game breaking bugs and things that cause frustrations that make someone not want to play the game anymore. That being said, this game has good environments and music. The game is now available on PlayStation 4 and is priced at $24.99 USD. If you like clunky, buggy games that look good but make you fight for any meaningful fun then this game is for you. I would not pay the price for this game though and would wait for a sale or even just watch YouTube videos if you are interested in it. In the pursuit of crafting an indistinguishable game world and granting advanced levels of autonomy, the developers forgot to make Vane any fun to play. Vane has some good ideas, but in stretching them out for too long across a pretty empty world, it soon becomes tiresome and frustrating. While visually impressive at times, Vane suffers from an unclear purpose and far too many technical issues to recommend it. Vane follows in the footsteps of many arty puzzle-platformers before it, but a lack of a strong voice and purpose keep it from being great. Developers relied on style and technology, but forgot about the plot, game mechanics, optimization and testing. If you still want to try this project, then wait for a few updates. Beautiful visuals and suggestive atmospheres are not enough to save Vane, whose obscure and not always working mechanics make the player feel abandoned in a poorly conceived world. Vane has a great premise, but it's overshadowed by glitches, bugs, graphics bugs, and a wild camera. Video games have really changed as a storytelling medium. what was once a casual dash from left-to-right, dropping baddies and collecting shiny objects, opened up into new realms of drama, narrative and even philosophical messages. Of course, that doesn't make these games immediately any better than the goofy platformers and shmups of gaming's formative years, but it has been amazing to see the many different ways gaming has been adapted by talented designers to tell all manner of dark, abstract and inquisitive tales.Into a busy market of chin-stroking titles such as The Missing, Gris and Gone Home comes Vane, a new PS4 adventure from Tokyo outfit Friend or Foe. Vane, like its brethren, eschews typical action gameplay to present a mood-piece adventure, not dissimilar from the work done by Team ICO. Vane wants to put freedom back in the hands of the player, letting them engage in a strange, mystical journey - without hand-holding - and with player-led discovery being the ultimate prize. Vane may have strived to create an immersive experience for gamers, but its technical flaws leave it feeling disjointed and unpolished. 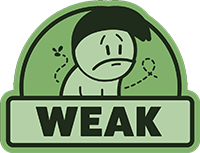 It feels like a disappointment for what it could have been and it is hard to recommend the game in its current state. It can still look visually striking when viewed from a distance while its audio design, with a brooding electronic score, can also be wonderfully atmospheric. Sadly, it's not enough to salvage a wholly disappointing experience that never reaches the lofty heights it begins with. Vane comes across as an interesting concept, yet a light one that lacks polish. Initially intriguing by his artistic direction, mysterious in its final, and even if it has the good idea to offer the happiness of being a bird, Vane goes from meditative to painful far too fast, served by a technique too much weak in regard to its size and a lack of sensation, which it does not manage to tie the bottom and the form of its experiment. It seems like during the years of development, Friend & Foe has forgotten what it wanted to say with Vane. Despite its deceptively intriguing prologue, Vane quickly goes from a journey of discovery to a laborious chore, mainly due to the abundance of technical issues and a lack of a decent save system. There is nothing about Vane that redeems it. This review reads like a list of complaints instead of constructive criticism because there isn't even anything to be constructive about. It's a game that's a challenge to play simply because it challenges your patience. Vane is game that has much potential, It has the feel of The Last Guardian to it and that in itself is a reason to want to like this game. The incredible visual style and the haunting 80s synths soundtrack adds buckets of atmosphere. It’s just a shame that the game is so obtuse for its own good. Unfortunately, Vane’s most interesting segment is overshadowed by how it manages to combine all of the game’s problems. If you love pretentious indie games then you may enjoy Vane but those just looking to have fun will likely get irritated with it.